In this paper a numerical simulation based on radial basis functions is presented for the time-dependent Allen–Cahn equation on surfaces with no boundary. In order to approximate the temporal variable, a first-order time splitting technique is applied. The error analysis is given when the true solution lies on appropriate Sobolev spaces defined on surfaces. The method only requires a set of scattered points on a given surface and an approximation to the surface normal vectors at these points. Besides, the approach is based on Cartesian coordinates and thus any coordinate singularity has been omitted. Some numerical results are given to illustrate the ability of the technique on sphere, torus and red blood cell as three well-known surfaces. The second author was in part supported by a Grant from IPM, No. 96650427. 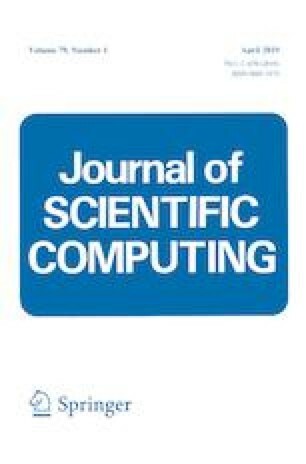 The authors are very grateful to reviewers for carefully reading this paper and for their comments and suggestions which have improved the paper. 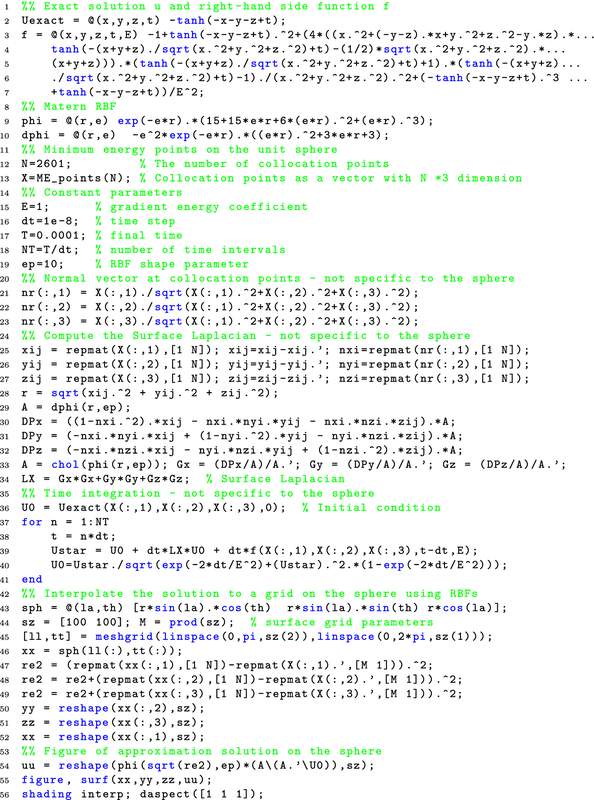 Here, we provide a sample MATLAB code for simulating the Allen–Cahn equation on the unit sphere. Parts related to the approximation of the Laplace–Beltrami operator are borrowed from . The subroutine for generating the minimum energy points should be provided by user.